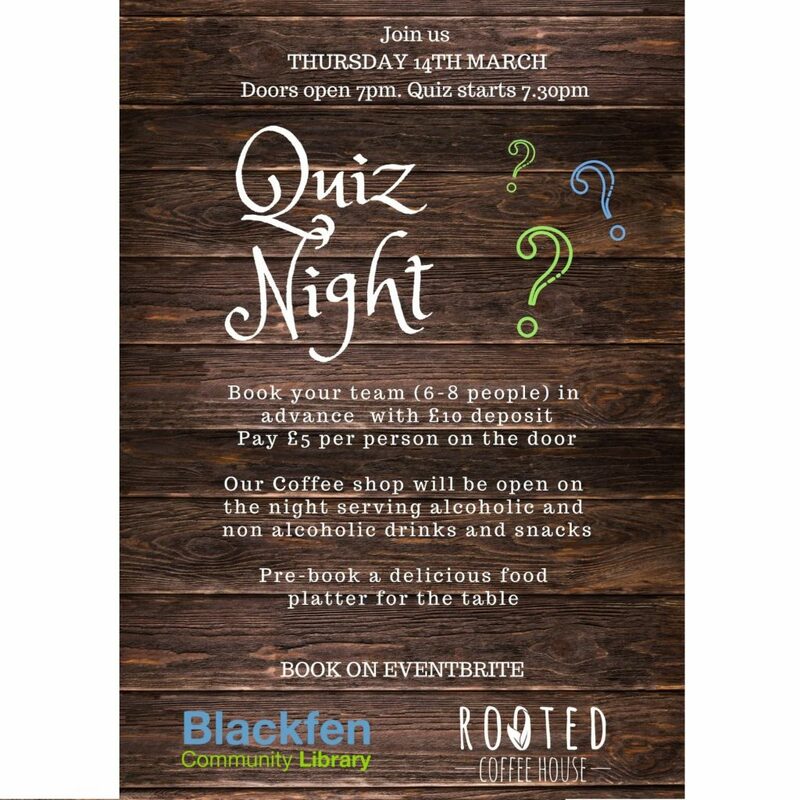 Book your table now for the first ever Blackfen Community Library Quiz Night! Teams of up to 8 members will battle it out to see who will be the champions…and who will go away with the wooden spoon. All proceeds from the night will help to fund activities and projects in our library and coffee shop. The quiz costs £5 per person to enter (£4 for Friends of the Library), payable on the night however your team will need to secure your place by paying a £10 depost in advance. We will also be serving delicious platters, with a selection of sandwiches, crisps, dips and other tasty treats. These need to be ordered and paid for in advance, with last ordering date being 7 days before the event.